NEW ARRIVAL- NOW IN OUR SHOWROOM! 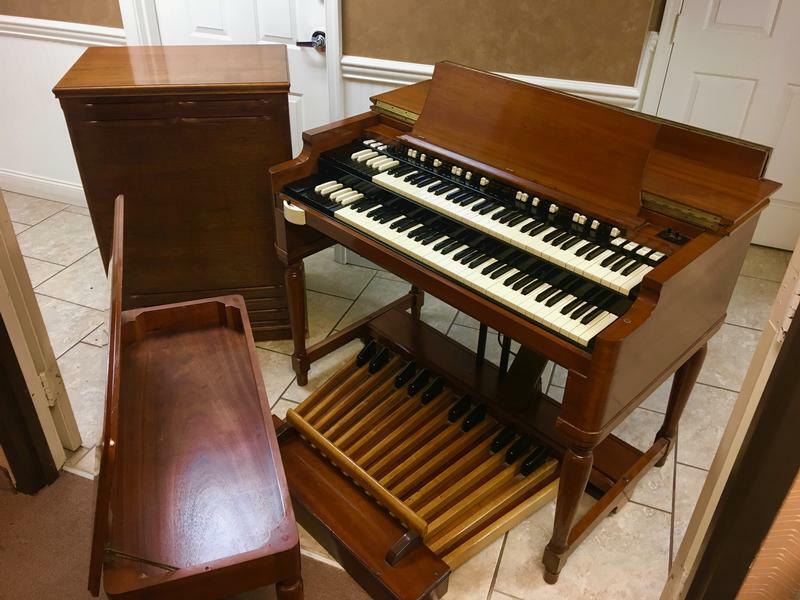 CHERRY WOOD VINTAGE HAMMOND B3 ORGAN & Original Matching Leslie - In Beautiful Condition- Will Sell Fast! A Great Value! Plays, Sounds Perfect! - Available! & Original Matching Leslie Speaker!